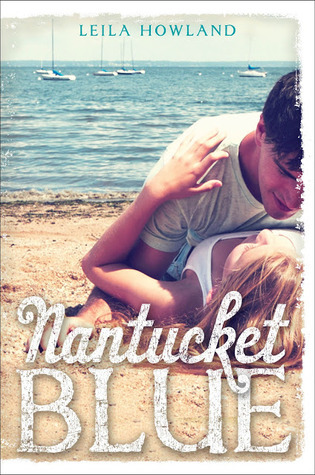 Blog Tour Review: Nantucket Blue + Giveaway! Cricket’s summer started with a lot of hope. She was going to Nantucket with her best friend Jules Clayton and her family. She was finally going to be with Jay Logan, the guy she has been crushing on since forever. But life had something else planned for her. Cricket is a great MC. She is real and relate-able. She is such a great friend. She is loyal and fights for the people she loves. She did a lot of growing up through the book. She understood that at the end of the day what matters is not what everybody else thinks about you but what you see when you look in the mirror, how you feel about yourself is the only important thing in life. Jules was not my favorite character and I understand that that she lost her mom and that’s probably the worst thing that can happen to a person but how she treated Cricket was wrong but I do get her point of view. I understand that she closed herself in and maybe felt threatened and possessive about her family but she lost a really great friend in the process. Also, here the MC is not directly suffering a tragedy. I mean she was very close to Jules’s mom, I get that, but that’s still her best friend’s mom and it just goes on to show that sometimes somebody else’s loss can change your life. It’s something different from other YA books where generally the MC loses someone and we see them overcome that loss. Maybe, if I read this story from Jules POV I would be able to understand her better and be more sympathetic towards her. The writing is great. It flows easily and still manages to hit the right emotions. It’s more than a light, fluffy read but it still has the summer feel and cuteness of first love. It will make you smile and has a great ensemble of secondary characters like George, Liz, Jay, Gavin. Zach was cute. He grew on me but I wasn’t swooning over him or anything. The romance does not take over the plot. I felt that it was more a growing up story than anything else. I liked the ending. Everything just doesn’t automatically becomes okay in real life. It takes time and that’s just how it is. It’s a fast read. I hope you like it! Bout of Books 7.0: “Create A Cover” Challenge + Giveaway!! I'm so glad you liked it! and you are right, Cricket was SUCH a relatable girl! I also hatted her supposed best friend… no tragedy excuses the way she treated Cricket.